Sir John Balcombe is a traditional English pub on Balcombe Street in Marylebone, centrally located just around the corner from Marylebone Station and a short walk from Baker Street. I was hoping we wouldn’t get kidnapped tonight as we needed a drink! Arriving at 7.30pm all looked clear…there was a bustling atmosphere, busy with the after-work crowd. Recently refurbished its interior is a perfect blend of traditional and modern. The ground floor is open plan with some central high bench seating, comfy chairs and banquettes at the far end. The rustic open brick and cobalt blue walls were decked with colourful prints and some attractive vintage black and white photos of the station, and we rather admired the central filament light fittings. 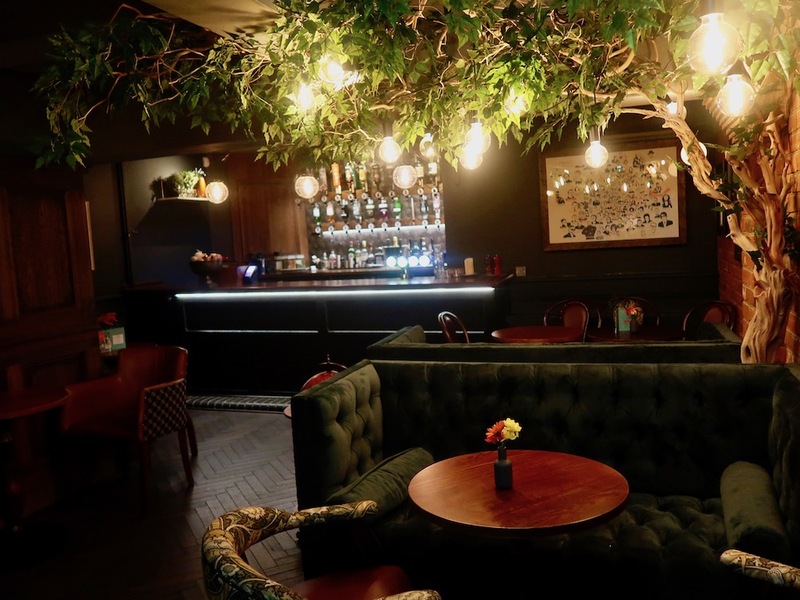 Downstairs there’s an inviting speak-easy style snug bar which would be a perfect venue for an intimate drink, and can also be booked for private functions. A visit to the loo provided quirky entertainment in the form of The Goon Show. 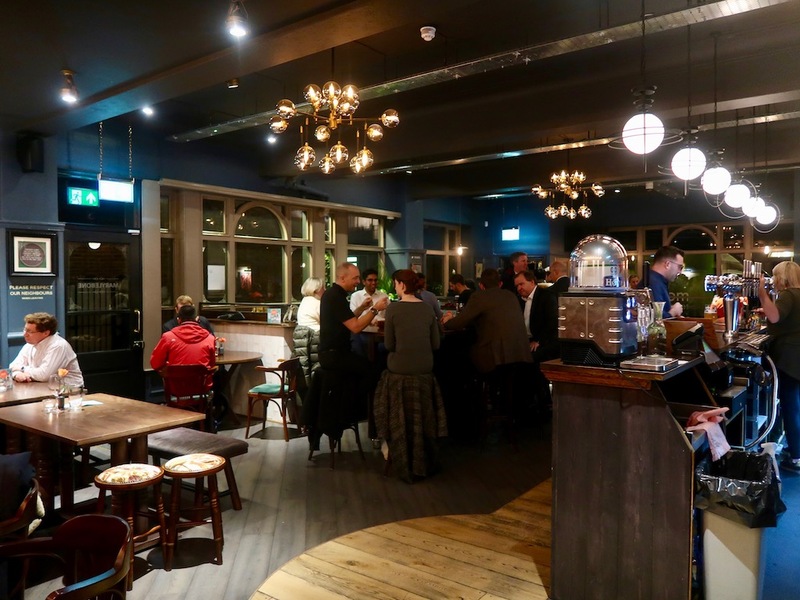 The well-stocked wood-panelled bar offers craft beers, a good wine selection and a Winter Cocktail list including a hot gin and tonic! 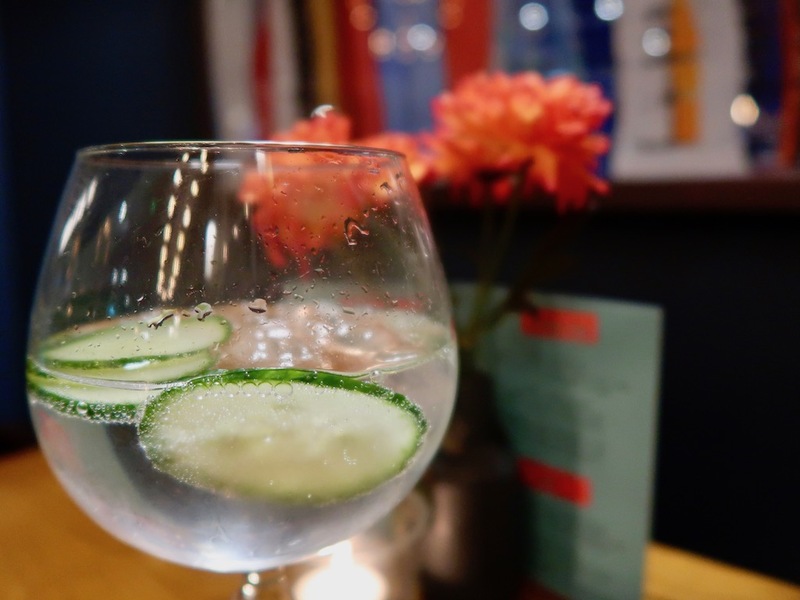 I wasn’t feeling that adventurous so I opted for a classic G&T with my favourite Hendricks Gin (there was a fine selection of gins to choose from) and Fever Tree Tonic. We went for a glass of Sauvignon and an alcohol-free Franklin and Sons lemonade and elderflower. 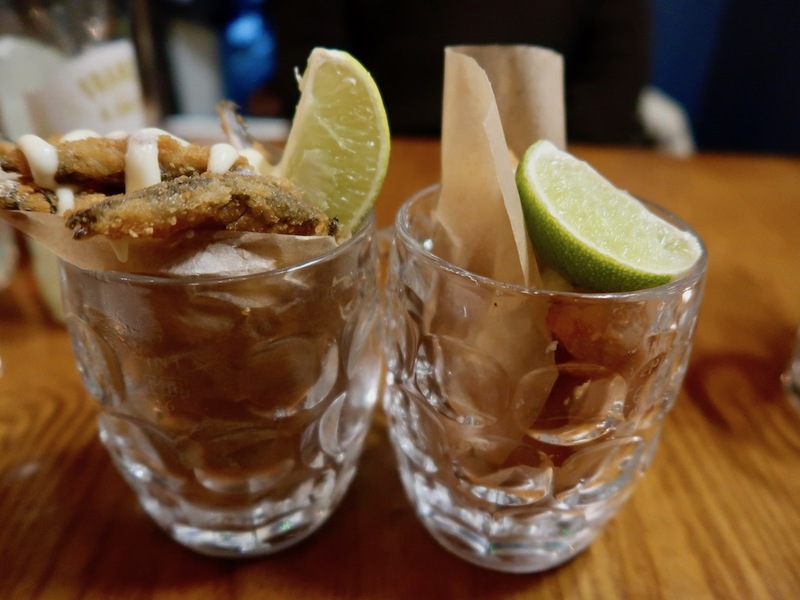 We kicked off the meal with some juicy pieces of whole-tail Whitby scampi with a mushy pea mayonnaise and crispy whitebait in a panko-style batter with a spiky lime mayo. 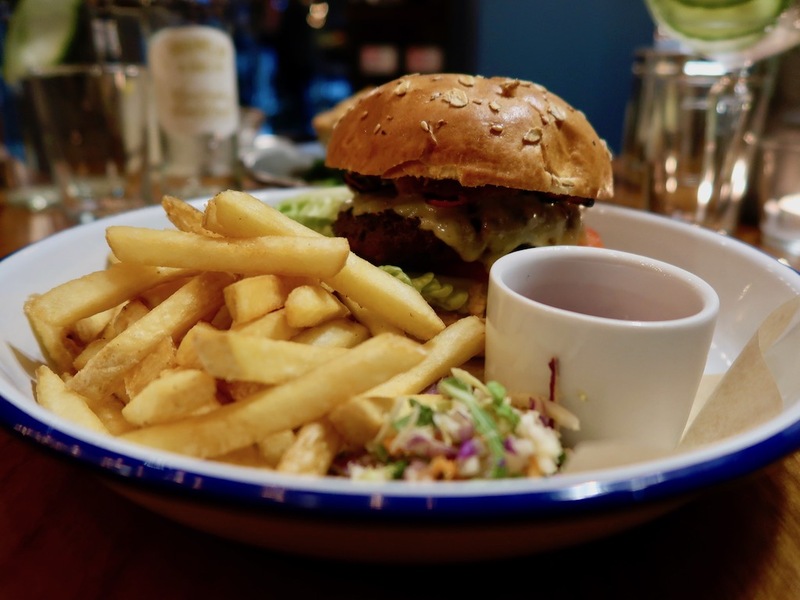 The quintessential pub menu offered burgers, chicken, hot dogs, cross- hatch fries, sausage and mash, Pieminster and veggie pies and fish and chips. I enjoyed a classic 6oz beef patty with smoky ketchup, bacon and cheese, served with a good quality brioche bun, crisp dry chips and all the trimmings. 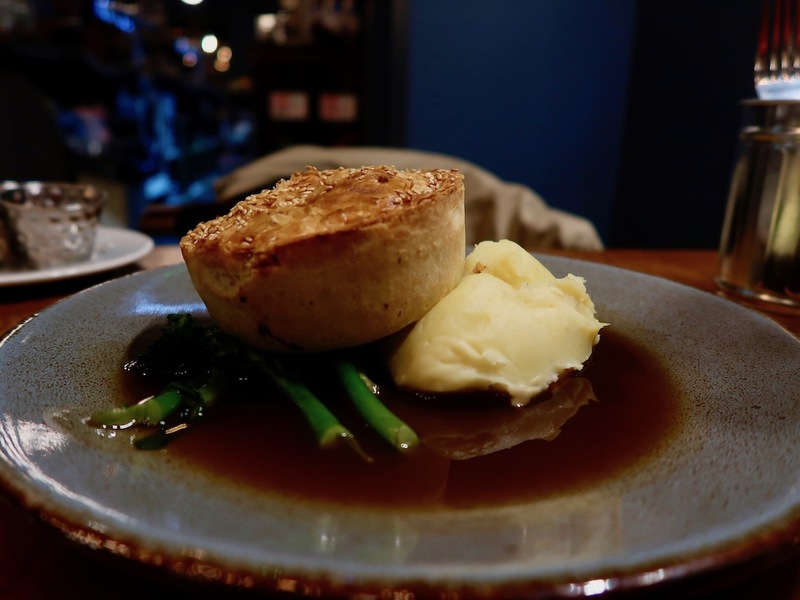 The tasty vegetarian sweet potato, goat’s cheese and spinach pie was good winter fare, dished up with grilled onion mash, crisp tenderstem broccoli and a rich beer gravy – perfect for mopping up with the mash. Full to the brim we had no need for dessert but had we felt the desire we could have fully indulged with sticky toffee pud, chocolate brownies or a Bramley apple tart. 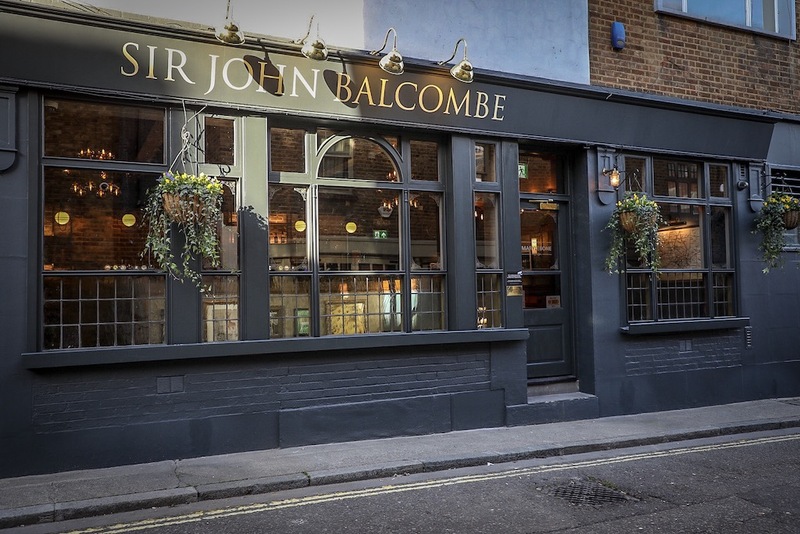 Sir John Balcombe is a proper no-nonsense modern styled tavern with traditional pub grub; with the classic English boozer becoming an endangered species as more and more pubs are converted into restaurants and accommodation, what can be more comforting in these uncertain times than a trip to the pub! 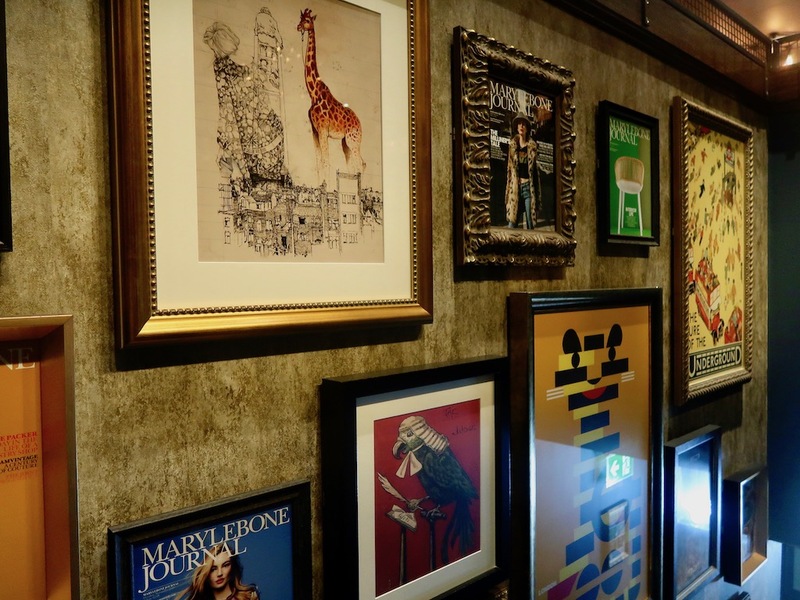 And in Marylebone itself, there are a plethora of options including Ishtar Turkish Restaurant, the original Iberica for Spanish Food The Pickled Hen, a rather fine Gastropub and The Harcourt – a special Gastropub with a Scandi touch.